I have not been blogging lately as I have been focusing on trying to finish my book. I am extremely pleased to have completed the first draft of my manuscript for Nonfiction Writing Power and it is now in the hands of Kat – my extremely competent editor at Pembroke. I know there is a lot of work still ahead but I am enjoying the temporary break from book writing and the chance to share some of the amazing new books I’ve read in the past few weeks. David Wiesner fans – you will be happy to know that he has a new picture book out called Mr. Wuffles. In his latest masterpiece, we meet a finicky feline called Mr. Wuffles who shows disinterest towards all the cat toys his owners have purchased for him. He does, however, become interested in a tiny toy space ship. After flicking it about, he discovers there are tiny aliens living inside – and now their space ship is damaged. The aliens eventually team up with household insects to repair their ship. In his classic near wordless style, Wiesner illustrations are detailed and captivating, particularly capturing the movement and expressions of Mr. Wuffles. Classic Wiesner! How to Train a Train by is a unique and hilarious “HOW TO” manual on how to take care of your “pet” train. Any child who loves trains, or any who may prefer the mechanical toy rather than a real pet, will enjoy this book. I was drawn to this book because of how well it fits into teaching students the form and language of instructional writing. It is written as a handbook and includes everything from how to choose your train, feed, clean and care for your train. I do not have a particular interest in trains but thoroughly enjoyed this book! 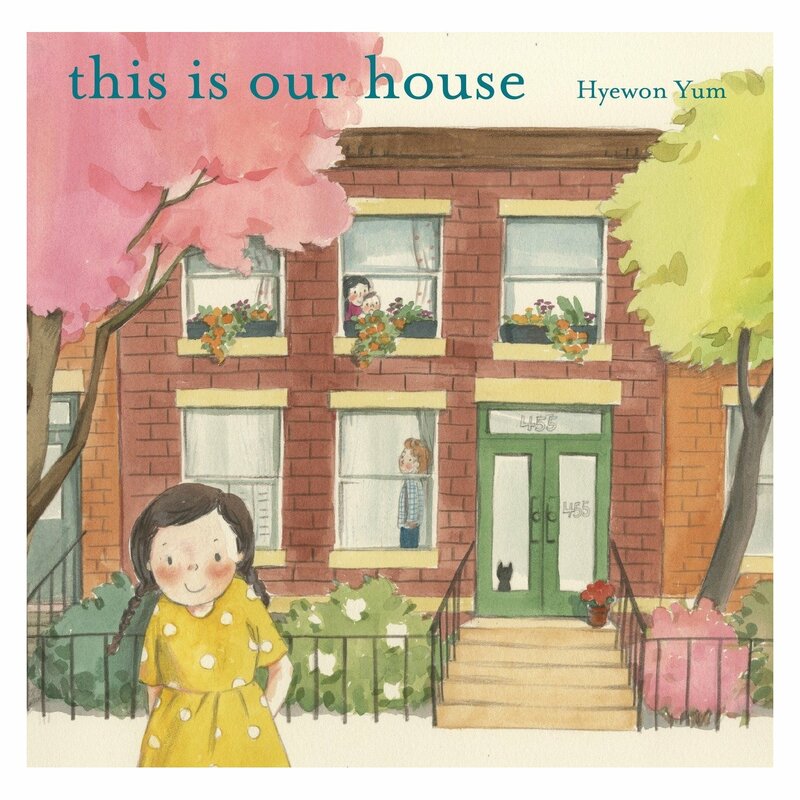 This is Our House by Hyewon Yum is GEM! It is one of those books that you could integrate into so many units of study – from family history, to multiculturalism, to changing seasons, to immigration. There is something so warm about this book as you follow a Korean-American girl and her family through seasons and generations. Through their journey, we witness the true difference between a ‘house’ and a ‘home’. A Single Pebble: A Story of the Silk Road by Bonnie Christensen is the story of a little girl in 9th century China, who sends a small jade pebble to travel with her father along the Silk Road. We follow the journey of the pebble along the Silk Road. It ends up in the hands of a boy in the Republic of Venice – the end of the Silk Road. The illustrations are lovely and the reference to the five “gifts” (reference to the five senses) which accompany the merchants along the silk road makes this a wonderful anchor book for writing as well as launching a unit in Social Studies. 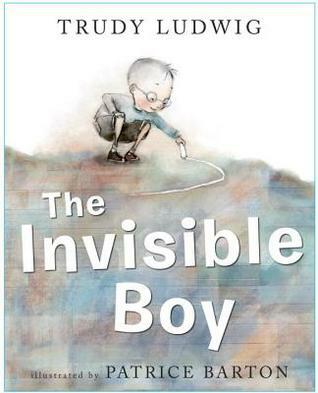 The Invisible Boy – Trudy Ludwig. Brian is so quite he is “invisible”. He is not included, invited to birthday parties or is really noticed. Then Justin, the new boy, arrives and works with Brian on a class project, giving him a chance to shine. This gentle book is a valuable one to include in your class collection, showing children how small acts of kindness can help others feel included. The illustrations by Patrice Barton are soft and gentle, just like Brian. Princess Tales: Once Upon a Time in Rhyme with Seek and Fid Pictures by Grace Maccarone. Ooooooo… you MUST see this book! It is ingenious and splendid and clever! 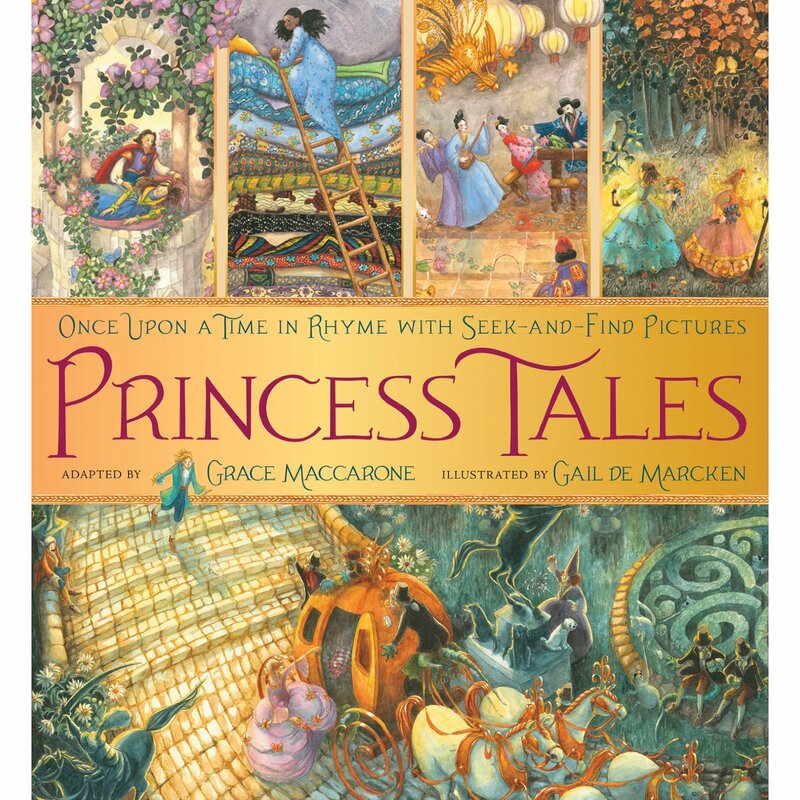 Ten well known princess stories, from Princess and the Pea to Sleeping Beauty are retold with hidden pictures and extraordinary illustrations by Gail De Marcken. Pour over each page and enjoy! This book is on my Christmas list for several young girls I know! 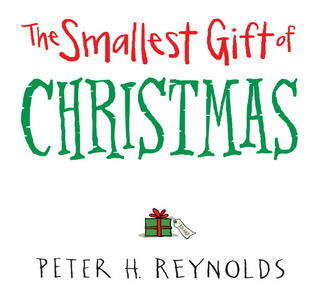 Speaking of Christmas… Peter H. Reynolds has released The Smallest Gift of Christmas just in time for the upcoming season ( I know it’s not even Halloween but I can’t help myself!) I adore anything and everything Peter. H. Reynolds does so was thrilled to see his new book. “Be careful what you wish for” appears to be the theme of this book as Roland, after receiving a very small gift for Christmas, wishes for something bigger… and bigger… and BIGGER! After his search takes him to outer space, he finally realizes that what is most important is waiting back on earth for him. The true meaning of Christmas is shared as only Peter H. Reynolds can share it. And in case he didn’t know, his books are enormous gifts to me. My dear friend Carrie Gels0n , who shares my passion for books, sent me this book recommendation last week and I am in love with it already. What Does it Mean to Be Present? 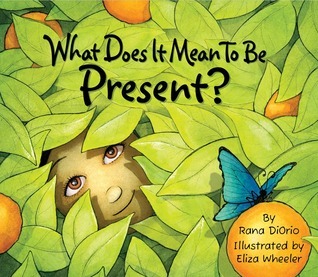 by Rana DiOrio has such an important message about being mindful, aware and grateful. Amazing illustrations and the perfect book for transforming. To help my students experience how a book can “transform our thinking”, I started with the word “PRESENT” and asked my students what the word made them think about. (I call this “taking stock of our thinking”) Most connected the word it to gifts, birthdays and Christmas. After reading the book, we “revisited our thinking” about the word. Many were transformed by the idea that “present” is not an object but a way of being. I love maps. Any book that begins with a map has me hooked before I even begin reading. I don’t know if it’s the physical shapes or the sense of adventure a map represents but whatever it is – I’m drawn in by a map. 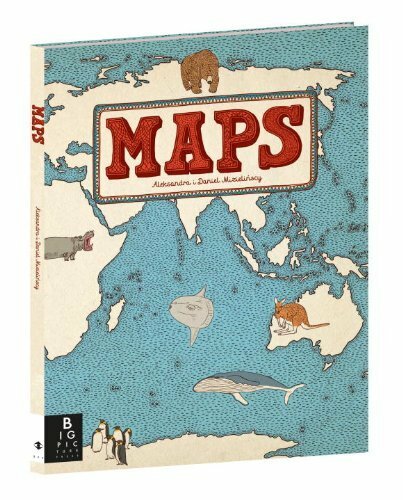 And so when I saw the cover of MAPS by Aleksandra Mizielinska and Daniel Mizielinski, I was fascinated. This book is an illustrated children’s atlas – but not one that you have ever seen before. It is utterly amazing, delightful, sensual, amusing and informative. There are maps, illustrations and detailed drawings. The pages are heavy and I couldn’t stop running my fingers over them. I was completely consumed and mesmerized. A book for children but no doubt will be loved by many adults. 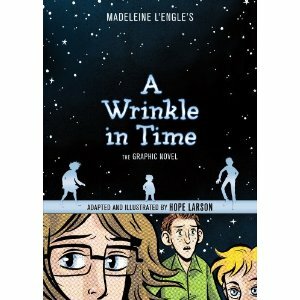 I loved A Wrinkle in Time by Madeleine L’Engle as a kid – my first real experience with Sci Fi that I enjoyed. 50 years later, Hope Larson’s work has created this graphic novel of the classic tale. I’m not sure if I wanted someone else to create images of Happy Medium and Aunt Beast that have stayed in my imagination for all these years and the jury is still out. I did enjoy revisiting the characters and the many layers and themes of this book and think that children who are not familiar with the original version will be captivated by the classic story through this format. Be prepared – it’s very long! My 13 yr. old is reading this book and loving it. 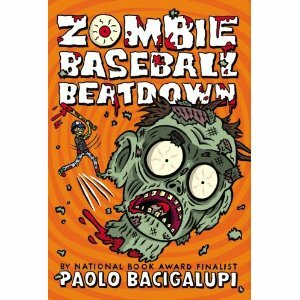 Zombie Baseball Beatdown by Paolo Bacigalupi has everything a 13 yrs. old boy could possibly want in a book – humor mixed with horror, baseball, zombie cows, evil coaches, battles and blood. It also has a lot of great themes for teachers – racism, immigration, corporations, food processing and, of course, friendship. The setting of this book is a small Ohio town with a big meat packing plant that is pumping their cows full of bad things. The effect is that the cows turn into zombies. I loved that the main character Rabi – a boy from South Asian – because there are not many books with main characters from this culture. This book would make a great read-aloud for an intermediate class – lots of laughs but great discussions too! And finally…. 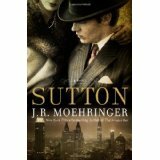 Sutton by J.R. Moehringer is my Book Club read this month. It is based on the true story of notorious bank robber Willie Sutton, one of the most infamous criminals in New York during the 1960’s. He was a hero of sorts amongst the public and dubbed a modern Robin Hood because he never carried a gun – his only victims were the banks. His motivation for robbing – his first love. I am half way through the book and thoroughly enjoying the writing of a tender love story disguised as a crime novel. Well – there’s my latest list! Hope you found one or two new titles that sparked your interest. What have you been reading this week?